I am so excited that Spring is officially here. It seems like we have been waiting on warm weather forever. Kentucky weather has teased us with a few warm days here and there, but I'm ready for warmer temperatures for good. I'm ready to get out and enjoy the beautiful sunny days and break free from Winter Cabin Fever. 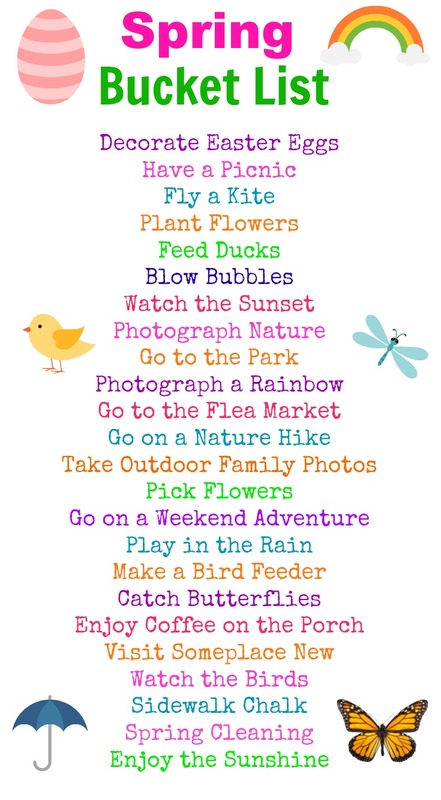 So with that being said, here is our family Bucket List for Spring. Let all of the fun activities begin!